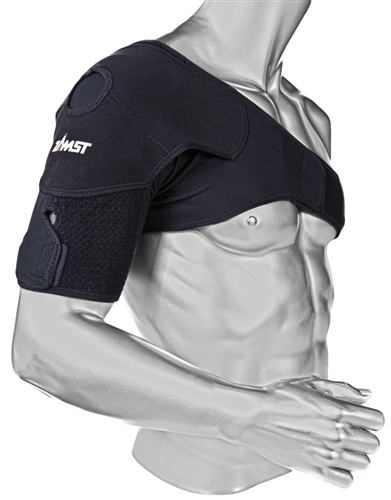 The Zamst Shoulder Wrap provides light, dynamic stabilization and broad compression support for the rotator cuff muscles. The i-Fit technology offers adjustable fasteners over the arm to customize the fit. The Flyweight design provides lightweight material for greater comfort and conforms to the shoulder on either side. V-Tech material ventilates and quickly removes perspiration during exercise while ROM-Tech allows for full range of motion, ensuring maximum performance.